Home Editorials Coordinating collective wage bargaining: a way of transnational solidarity in Europe? Roland Erne is currently a research fellow at the Centre for Advanced Study in Oslo, where he is part of the project on Globalization and the Possibility of Transnational Actors — The Case of Trade Unions. The purpose of his subprojectis to investigate different case studies of translational labour in order to move to a conceptual understanding of the circumstances under which transnational solidarity is possible. In this guest post, he reviews in this respect the book Le salaire, un enjeu pour l’euro-syndicalisme. 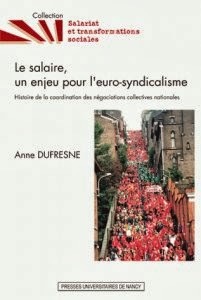 Histoire de la coordination des nÃ©gotiations collectives nationales (Presses Universitaires de Nancy, 2011) by Anne Dufresne. German unions certainly played a leading role in the establishment of the ‘inflation plus productivity’ norm as a European wage coordination benchmark in the late 1990s. In turn, ‘les Allemands’ — or better German wage moderation — also contributed to the demise of the European wage coordination policy benchmark in the 2000s. But does that really mean that ‘le leadership allemand’ (page 156) is the major explanatory factor behind these contradictory events? 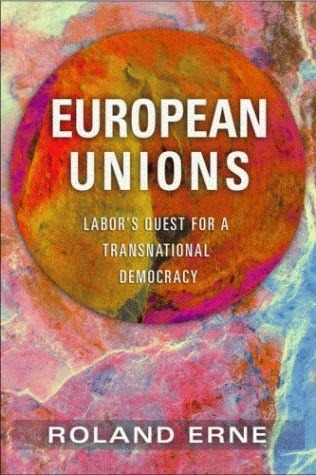 As argued previously (Erne, 2008), the rise and demise of European unions’ wage bargaining coordination benchmarks in my view first and foremost reflects the contingent outcomes of the policy battles between ‘Euro-Keynesian’ and ‘competitive corporatist’ currents within the German labour movement rather than Teutonic trade union culture and leadership. Dufresne is correct when she emphasizes that many French and Italian unions greeted the ‘German’ inflation and productivity wage bargaining benchmark with scepticism. On the other hand, one should also note that the traditionally least Germanophile sections of the French and Italian union movement — namely the left-wing of FIOM-CGIL and the French CGT — were the most resolute supporters of the EMF and ETUC wage bargaining coordination benchmarks. This observation, however, would not be so surprising if one associates the promotion of the European wage bargaining coordination benchmark not with the German union movement per se but rather with the DGB’s and the IG Metall’s left-wing. Conversely, the stagnation of German wages during the 2000s that led to the demise of the European wage bargaining coordination benchmark should not be seen as systemic outcome of the German system collective bargaining, but as the contingent result of the defeat of Oskar Lafontaine within the SPD and the left-wing within the IG Metall. In turn, a more political reading of the recent history of European collective bargaining coordination would also allow a more positive conclusion regarding its future. The extensive wage moderation in Germany during the 2000s not only created huge economic imbalances within the euro area but also impoverished German workers, especially in the construction and service sectors. Hence, it may still be possible to construct new transnational alliances — for example between FIOM-CGIL and VERDI — to support European workers’ wage claims in the future, as political orientations can be changed more easily, by contrast to primordial national identities.